Aptean is an American company based in Georgia, founded in 2002. It is the creator of the Catalyst warehouse and supply chain management (SCM) software program. The company also creates a suite of other products for companies who need clarity in their daily workflow. In general, Aptean focuses all of its solutions on three areas. It seeks to maximize efficiency by developing supply chain solutions that anticipate demand before it arrives. It seeks to increase customer support by allowing better tracking on both shipments and deliveries. Finally, Aptean focuses on building its clients into leaders in each of their own industries. 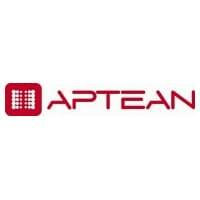 Aptean’s Catalyst supply chain management software starts and ends with the customer. It is a wide base for the whole business and serves as a backbone for future software integration. Start by using it for transportation management, then add yard management. With the combination of warehouse management, cross dock planning, and slotting, it’s easy to see how everything fits together. Build a stronger workflow with more exact order fulfillment by tracking each area of a business. This software creates an all-around supply chain solution without any extraneous features. Catalyst tracks unique processes, but integrates with existing processes as well. Whether a company needs to increase efficiency in a single area or across the entire warehouse, the Catalyst warehouse management software fits the bill. Learn everything you need to know about Aptean Catalyst. Our experts will reach out to you shortly.